Also, make sure to check out the end of sale times for each game next to the respective download link. At the time of writing (November 30th), some of these titles only have a few hours left in their "freebie" period, so it's advisable to download anything that you like fast. Without further ado, let's see what's on the list! We're kicking things off with a must-play title for all of you racing game fans out there. Real Drift Car Racing might not boast the eye-watering graphics of Gameloft's Asphalt series, but it makes up for it in the gameplay department. 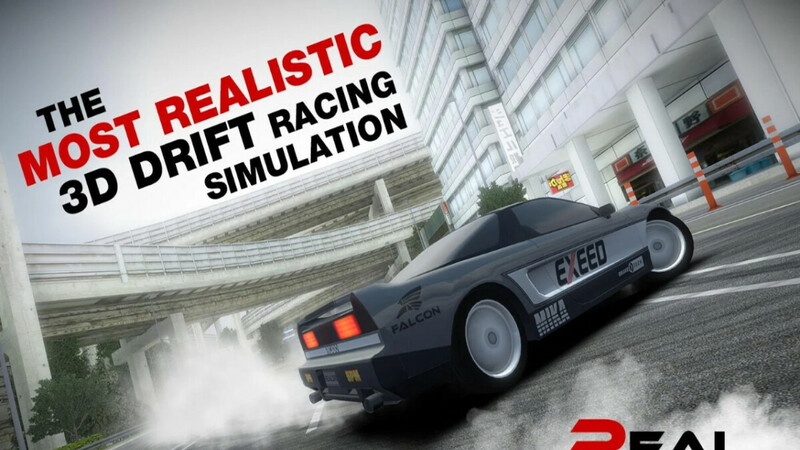 With more than 500,000 downloads and a rating of 4.6/5, Real Drift Car Racing is perhaps the most entertaining and realistic drift simulator on mobile. You can choose between a plethora of different real-life car models, customize and fine-tune them to perfection, and test your skills on more than 20 different race tracks. There are two different control modes, automatic or manual transmission setups, and various tutorials for newer players. The career mode features 36 championships that become increasingly challenging, and if that's not enough, you can also compete online to try and climb the leaderboard. If you're looking for a tower defense game with a twist, then Kingdom Defense: Hero Legend might be just for you. Aside from building towers that blast through the endless waves of enemies, here you also can have troops on the ground that fight with the dreaded hordes. You can also choose to spawn up to three heroes that can further aid you in protecting your kingdom. At the end of each level, you earn diamonds that can be spent to improve your towers and/or heroes. Last but not least, the enemies drop different items and spells at the end of each level. You can strategically use these to inflict further damage on more tougher stages. Night Survivor Pro is an adventure survival game with some pretty interesting graphics. The story narrative is rather typical - you are one of the last survivors on Earth after a zombie apocalypse has occurred. One day, you find a walkie-talkie and hear the voice of another survivor who begins to guide you to their safehouse. Is the mysterious figure truly your friend, though? You might be surprised by the answer. There are more than 28 levels here, and most of these involve locating and grabbing a certain item. Be careful, though, because at night, the zombies come out and you'll have to find a safe place to hide. A combination of the hidden item/puzzler/horror genres, Escape Games: Fear House 2 puts you in a scary haunted house that you need to... well, escape from. Use your observation skills to find hidden items, combine them or break them up, and find the best way to advance through the various chambers of the house. Some of the riddles in this game can be quite tricky to solve, so feel free to cheat a bit with the walkthrough if you're struggling at any point. Fans of the Outlast series will really dig Reporter 2. However, be advised if jump scares aren't your cup of tea. The story of this first-person survival horror game starts in a small town. One day, the town is shocked by a series of horrible killings under terrifying and inexplicable circumstances. The police try to hide the facts, but some information leaks and is published by the local press. Trying to understand what has happened there, you start your search for the truth. But suddenly, you become a part of the story that you'll remember till the end of your life. It all depends on you, will you unravel this plexus of horror and chaos and survive? You can't use any weapons here, so your only option is to run from the nightmares inside while filming them with your camera. Your video links are off.